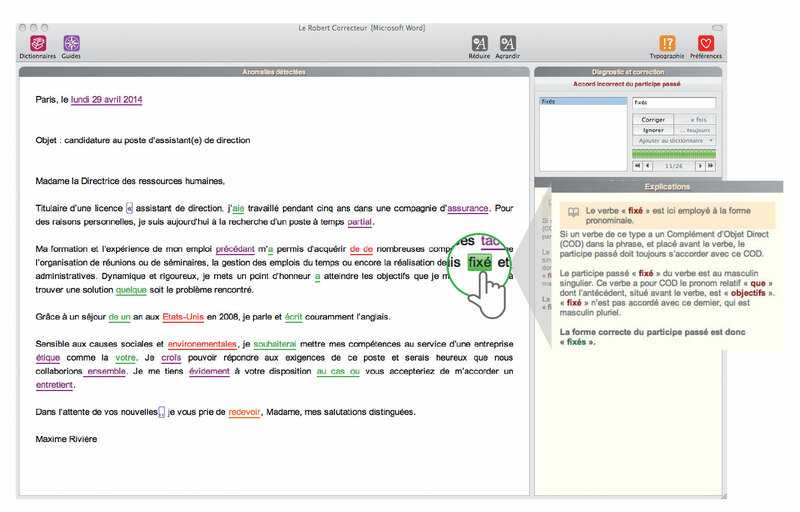 The essential application to write flawless French in your day-to-day life! Your download has started - please check the bottom of your browser window. Thanks for your interest in Robert Correcteur! Start correcting with a single click. The Robert Correcteur proofreads the entirety of your text. Validate all corrections to your text! You’re done! Integrates with many Windows and Mac applications. Easily accessed from anywhere in a single click thanks to the OS-integrated icon. Detailed explanations for all mistakes to keep you from repeating them and thus improve writing. 6 linguistic guidelines: All the French language’s rules to become unbeatable!